The Edward that issued the Magna Carta of 1300, presently at the Canadian Museum of History, is the "Longshanks" (called that because of his imposing height) of Braveheart fame. Alexander III, king of the Scots, died and the legitimate heir to the Scottish crown was Princess Margaret of Norway. Edward saw a way to exert control over Scotland by negotiating a marriage between Margaret and his son and heir, the future Edward II. 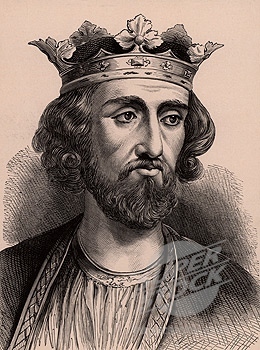 Although he was the feudal lord of the Scottish kings through his Anglo-Norman roots, he was not the sovereign of Scotland. Awkwardly, Margaret died in 1290 en route to England. This led to a disputed succession in Scotland with no less than thirteen different claimants. Edward exerted his right as feudal lord to intercede. His unwelcome interference led to a rebellion in Scotland, notably under the leadership of William Wallace (“Braveheart”). 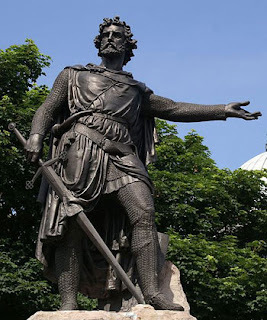 Wallace defeated the English Army at Stirling and harassed the northern counties of England. Edward defeated Wallace at Falkirk in 1297 but the resistance continued until Wallace’s capture and execution in 1304. It is interesting to note that Edward reissued Magna Carta during the time of Braveheart.